Most in the Outdoor Pools in Dudley (Borough) (Borough) offer both open lanes for independent swimming and also guided activities like water aerobics or aquabike. The finest pools to swim are certainly indoor olympic pools. Swimia.com needs your feedback to ensure all of the facts is valid, since maybe this pool is no longer open to the public. 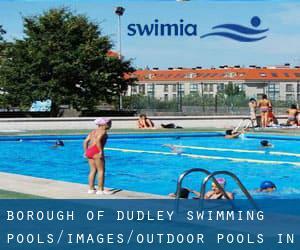 Swimia.com has one of the most up-to-date database about Outdoor Pools in Dudley (Borough) (Borough). There are typically discounts available to senior citizen and tiny kids. Find out by contacting your nearest pool in Dudley (Borough). For Dudley (Borough) and its vicinity, we're showing you all the registered Outdoor Pools in Dudley (Borough) (Borough), some of them have no GPS coordinates and you're not finding them at the map. Holding an estimated population of 55.265, Halesowen is one of the most important cities in Dudley (Borough). Check all the Swimming Pool in Halesowen and its surrounding region. Without a shadow of a doubt, swimming in Brierley Hill is the greatest way to unwind immediately after function. Take a couple of minutes to browse Swimia's catalog to find a Pool in Brierley Hill. Let us tell you a secret to forget about everything though you're in Lye: just choose a pool and plunge into the water! There's no alot more productive process. Whereas Kingswinford is one of the six most populous cities in Dudley (Borough) with nearly 20.000 residents, you shouldn't miss that one if you're going to Dudley (Borough). Swimming is actually a terrific idea to keep your body active for the duration of your visit to Stourbridge (Dudley (Borough)), or even when you are a local. Swimia helps you to find your closest Swimming Pool in Stourbridge. It's difficult to visit Dudley (Borough) without dropping by Dudley (with 199.059 residents). 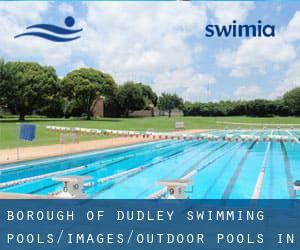 Presently Swimia is showing you all the Pool in Dudley as well as the closest pools situated in its vicinity. London Fields Westside , Hackney , London - East , England , UNITED KINGDOM (Postal Code: E 8 3EU). This sports center offers Olympic size x 17 meters, 8 lanes, 1 meters - 2 meters depth, 1 meters - 2 meters depth, Outdoors. For this Pool, only phone number is number here. East Acton Lane , Acton , London - West , England , UNITED KINGDOM (Postal Code: W 3 7HB). This sports center gives 25 meters x 11 meters, 6 lanes, Outdoors. Contact data for this Swimming Pool such as phone number and e-mail address are number. 161 Banks Rd , Sandbanks , Poole , England , UNITED KINGDOM (Postal Code: BH13 7QL). Among all the activities offered by the center, when you are interested in swimming you might enjoy 17.5 meters x 6.5 meters, 1.1 meters - 2.2 meters depth, 1.1 meters - 2.2 meters depth, Outdoors. Just in case you wish to get in touch with this Swimming Pool before dropping by, we only know the phone number. Oakfield Place , Clifton , Bristol , England , UNITED KINGDOM (Postal Code: BS 8 2BJ). This sports center provides 25 yards, Outdoors. Contact details for this Pool for instance phone number and email address are number. 242 Christchurch Road , Ringwood , England , UNITED KINGDOM (Postal Code: BH24 3AS). This sports center gives 25 meters, Indoor/Outdoor. For this Swimming Pool, only phone number is number here. 32 Endell St. , Bloomsbury , London - Central , England , UNITED KINGDOM (Postal Code: WC2H 9AG). This great and large sports center lets professional swimmers like you enjoy 27.5 meters x 9.8 meters, 3 lanes, 0.9 meters - 3.5 meters depth, 0.9 meters - 3.5 meters depth, Outdoors. Additionally, within these facilities you can try 25 meters x 8 meters, 3 lanes, 1 meters - 2 meters depth, 1 meters - 2 meters depth, Indoors. Unfortunately we do not have the e-mail address of this Swimming Pool, but we can provide you with the phone number. High St. , Hampton , London - West , England , UNITED KINGDOM (Postal Code: TW12 2ST). This sports center offers 36 meters x 14 meters, 6 lanes, Outdoors. Contact information for this Pool which include phone number and email address are number. Drayton High Road , Hellesdon , Norwich , England , UNITED KINGDOM (Postal Code: NR6 5DU). Swimmers like you have reported 25 meters x 18 meters, 3 lanes, Indoors. Also, you will find 20 meters x 8 meters, Outdoors. Just in case you want to contact this Swimming Pool before dropping by, we only know the phone number.